(May/June 2007), and Compendium Magazine (August 2007). residency at Mount Sinai hospital before starting his own practice. Dr. Sabbagh-Fard, or Dr. Arash as his patients often refer to him, understands that in order to be a great clinician, you need to constantly expand your realm of knowledge. He does this by attending course and lectures on cutting-edge dentistry techniques and the latest developments in oral care. 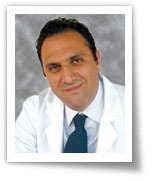 Dr. Sabbagh-Fard works closely with each patient to achieve the desired results. He focuses on developing a personalized treatment plan for everyone. His main area of interest is Aesthetic and Reconstructive Dentistry, which includes the placement of dental implants, bridges, and crowns. Dr. Sabbagh-Fard takes special care in crafting every patient’s crowns to assure the closest match to the real teeth,allowing for a more natural appearance. 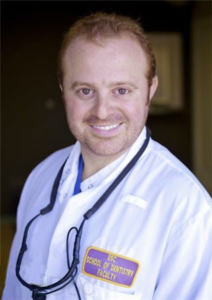 Dr. Arash has received countless compliments and praise from his patients regarding his placement of dental implants, the construction of dental crowns, and the overall experience. Needless to say, you are in good hands when you are with Dr. Arash.